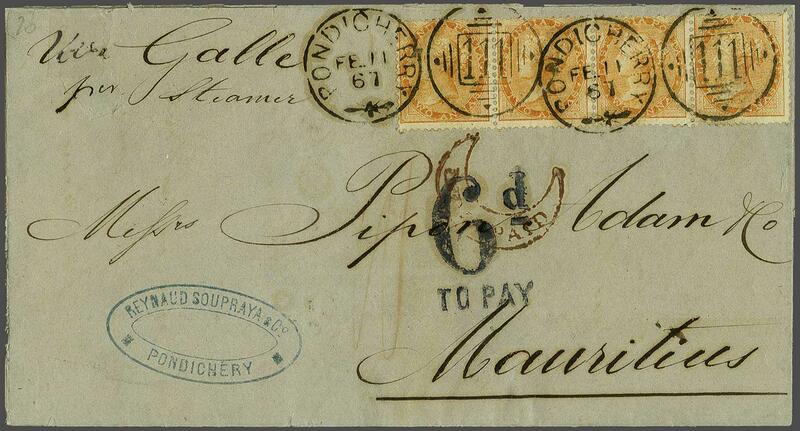 French Indian Settlements 1865: 2 a. orange in a horizontal strip of four used on 1867 entire letter from Pondichery to Mauritius endorsed 'via Galle per Steamer', tied by PONDICHERY / 111 duplexes in black (Feb 11). 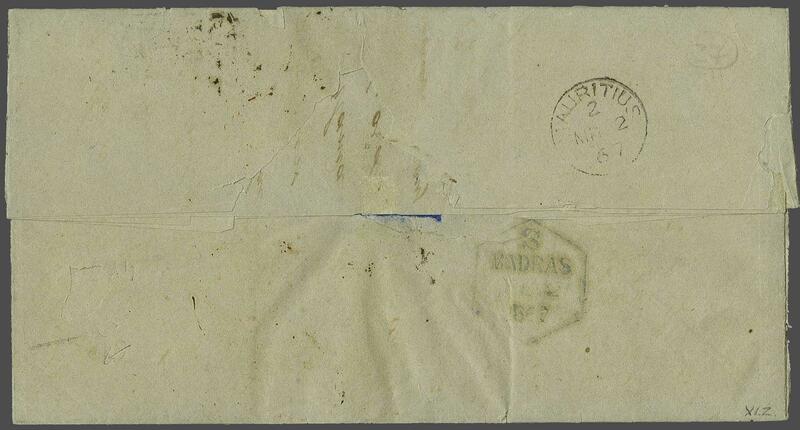 Curved INDIA PAID in red and reverse with Madras datestamp and Mauritius arrival cds (March 2), charged with "6d. / TO PAY" in blue on obverse. A few small thin paper imperfections to entire but an attractive usage.